Staff members pose with copies of the booklet produced to celebrate Unity Books Wellington’s 30th birthday. The issues of the day: new table arrangements, the unfairness of smokers taking smoke breaks when non-smokers don’t, and the importance of answering the phone! 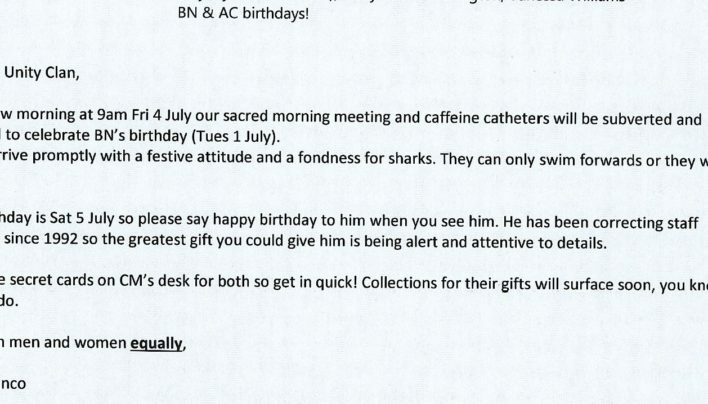 Democracy in non-action! Despite the votes, Laser Force was the ultimate winner. 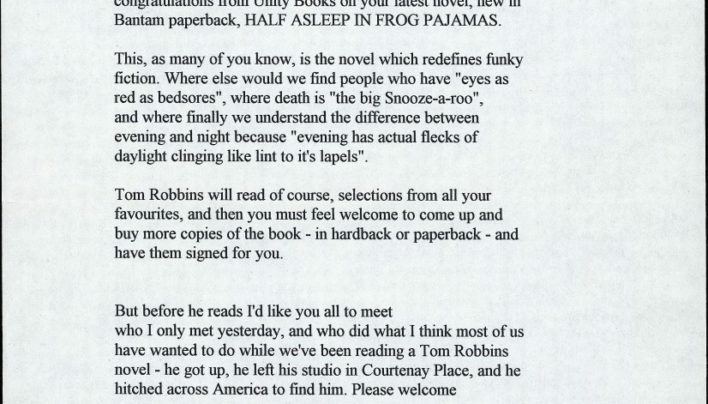 Speech notes from the welcome to Tom Robbins, speaking and reading at Unity Books as part of his tour to promote Half Asleep in Frog Pajamas (Transworld). 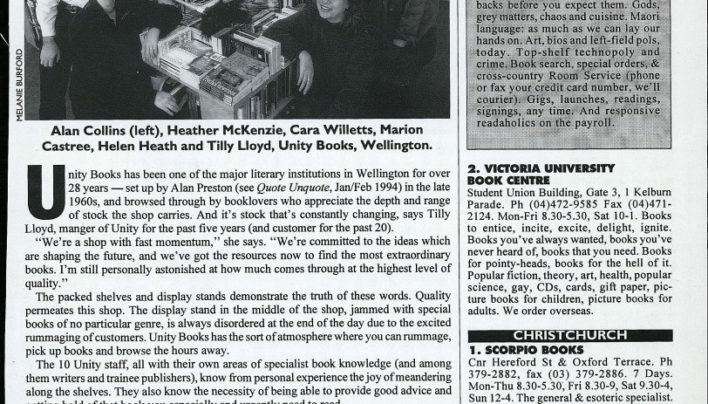 Unity Books featured as Bookshop of the Month in Quote Unquote in 1995. 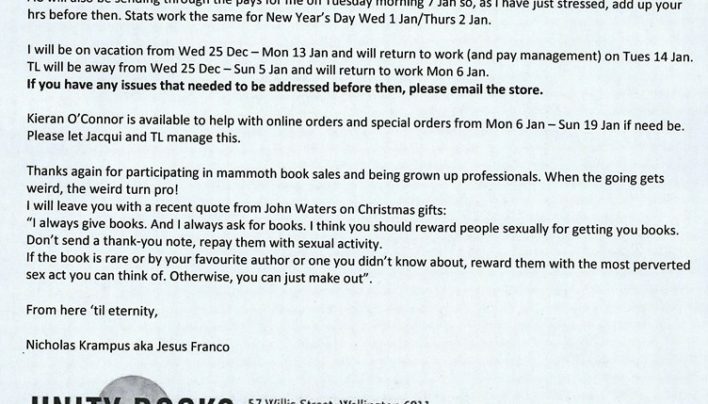 Dylan Sherwood Jesus Franco Nicholas Krampus keeps us organised and paid over statutory holidays, long shifts and – shock! – time off.